On Thurs., Apr. 15, Windows Software Update Service (WSUS) will push Creators Update 1709 to all applicable Windows 10 computers connected to the central WSUS server. Once the install files are downloaded to the computer, the update will require Windows to restart. You have the option to restart immediately or postpone the restart to a later time. Once the computer is restarted, the update will begin installing and the computer will be unusable during the install. It is estimated the install will take about an hour to complete. 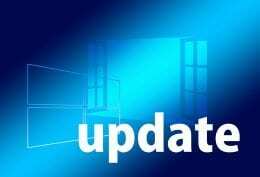 See the K-State’s Windows Software Update Service (WSUS) knowledge base article for instructions on how to set up the service. If you have any question, contact the IT Help Desk (helpdesk@ksu.edu or 532-7722).